BioBE/ESBL will be part of an exhibition at the Rhode Island School of Design! The Biology and the Built Environment was invited to participate in an art exhibition at the end of this summer at the Rhode Island School of Design; Biodesign: From Inspiration to Integration. The exhibition will open on August 24th, and will feature a number of artists, designers, and scientists working at the interface of the biotic and the abiotic. The full list of contributors and more information about the show can be found here. 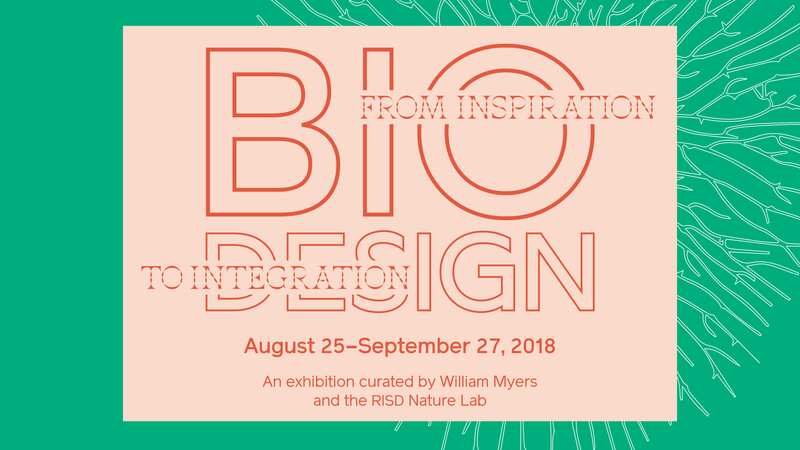 The Nature Lab at RISD is pleased to announce Biodesign: From Inspiration to Integration,an exhibition curated in collaboration with William Myers that marks the culmination of our 80th anniversary celebrations. The exhibition runs from Aug 25—Sept 27 and showcases recent examples of design and art that inform our complex relationship with nature and help us decipher how it may evolve in the future. To launch the exhibition we are hosting a half-day symposium that brings together international artists, designers, scientists and educators for talks, discussions and presentations on topics such as valuing non-human forms of life as collaborators, artistic and scientific modes of inquiry, and ethical considerations in bioart and biodesign practices. The opening of the exhibition also marks the release of the 2018 edition of Biodesign: Nature + Science + Creativity (MoMA). 5:30pm—7:30pm Opening Reception Free and Open to the Public. 1:30-2:45 pm Presentations from participating artists: Jon McCormack (AUS), Kathy High (US), Emma Conley and Jen Bervin (US).